Perhaps, black remains the new black. Deep, dark and mysterious, and endlessly versatile, black has forever been a very popular choice. 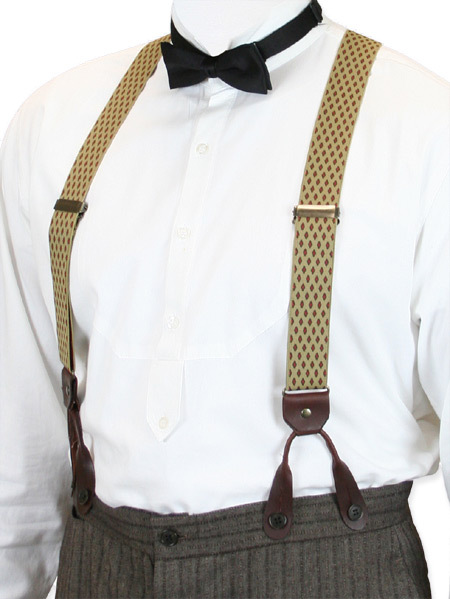 However, let us not forget: color and pattern also have their place in a modern gentleman’s wardrobe, when used tastefully. 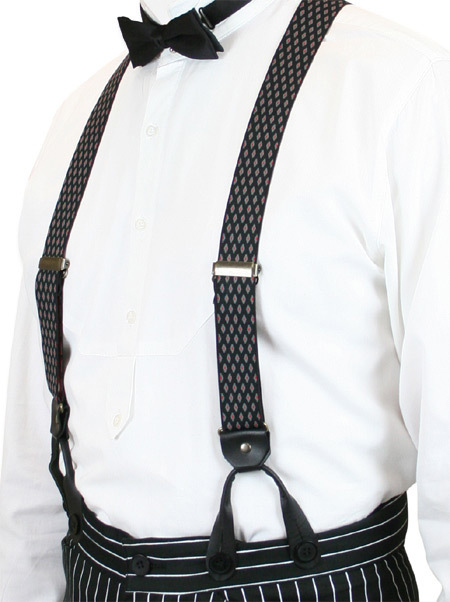 Exhibit A: Our new patterned suspenders. 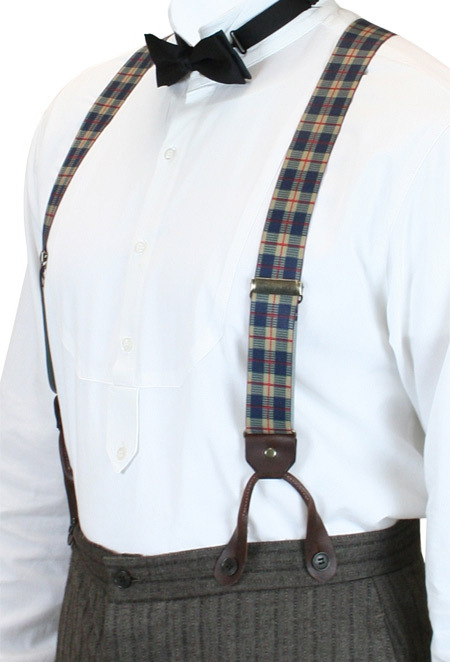 Y-back style, with antique trim and fancy leather ends. 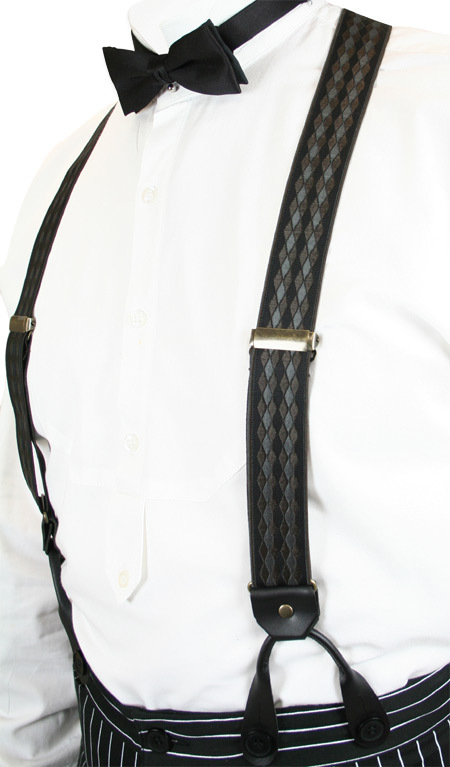 Elasticized for comfort, patterns are woven into the elastic straps for long life. Brace yourself for a fashion upgrade. 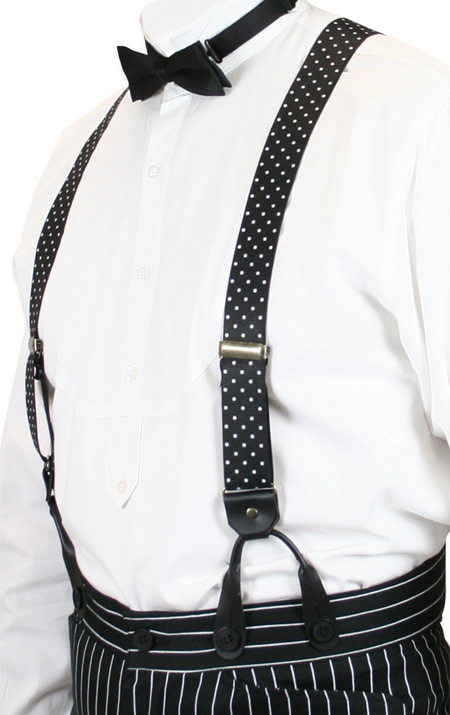 Click to shop our new patterned suspenders.